We are involved in offering a wide and high quality range of Three Wheeler 5 Port Silencer to our most valued clients. This range is manufactured using the superior grade material and latest machines. Owing to the durability and high quality, the complete assortment of the offered silencer is widely appreciated by our clients. We are leading Manufacturers and Exporters of all kinds of 3 Wheeler Parts. 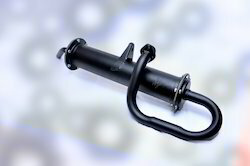 We have marked a distinct position in the market by providing a high quality range of Three Wheeler Silencer. Professionals keep friendly behavior with patrons and provide Compact Exterior Three Wheeler Silencer. 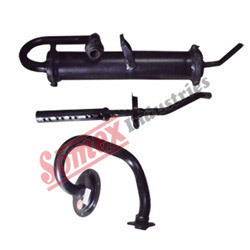 This silencer is superior in finishing and made by professionals by using best material. This silencer has longer life and tear proof nature.